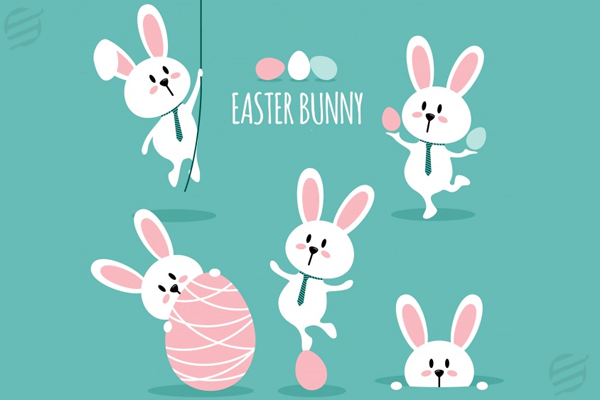 Many of us would think of chocolate cakes, eggs, hot cross buns and other sorts of celebrations when we hear about Easter. But, it is much more than just the celebrations. Let’s get to know it more. By Easter, we understand the time of the year, when the Christians believe that Jesus was reborn. Which is also the oldest Christian holiday. Christians believe that Jesus who was the son of god, had to die because of the iniquities of people, but took rebirth after three days of his crucifixion to fight evil and also to defeat death. You must wonder what the eggs have to do with Easter, so here’s the deal. In early times, the Easter eggs were only coloured in red, symbolising blood. The blood serves as Jesus’ blood that was on the cross. Christians believe that the eggs symbolise the resurrection of Jesus Christ. The tradition of the cracking of egg shells symbolises Jesus breaking free of his tomb and coming to a new life. The world’s giant egg for Easter was made in Italy in 2011 and it was made of chocolate. The white house organises an Easter egg roll every year. Easter Sunday is the day for exchanging gifts and eggs. The rolling of eggs and egg hunts are the two most beloved practices of Easter. Egg hunt is the tradition were the elders paint and decorate eggs, and hide them later to be found by the children of their houses on Easter mornings. Know How Eggs Are Connected With Easter. Easter comes with a lot of mouth-watering dishes, like chocolate cakes, eggs, bunnies, candies and what not. But the most standing out among these are the hot cross buns. Have you ever wondered, why the hot cross buns are so popular during Easter? Let’s get some details. Hot cross buns have a deeper connection with Easter. The cross on the bun plays the part of Jesus’s crucifixion and the spices inside play the part of the spices that were put on his body. With the growing time, recipes of hot cross buns became diverse and experimenting. Lilies are a flower of Easter, also known as Easter Lilies. Because the petals face downwards, people believe they are in the honour of Jesus. They were made a part of Easter, since it was brought from Japan to USA. They were also called the ‘White Gold’. Lilies grow usually on the summers, but the flower growers forced grew them on the spring to celebrate Easter. Easter Sunday is the day when Jesus is believed to be revived. Many of the churches start their Easter Sunday celebrations on the midnight of Easter eve itself. They celebrate the Easter Sunday by lighting candles. They believe that the lightning of candles indicates the awakening of Jesus. The revival of Jesus implies the victory of sinless over evil and that death can be won over. In Greece, the Easter Sunday celebration is followed by fireworks. The Easter bunny works as a bearer, who is believed to be delivering eggs and gifts hoping to house after house. The bunny represents potency and fertility and is a harbinger of spring. There are people who believe, that the Easter bunny camouflages himself and looks like the other bunnies. Also, the Easter bunny is believed to be hundreds of years old. Not only chocolate eggs ,lilies, bunnies or hot cross buns, Easter means an occasion to wear new clothes as well. Christians believe they bring good luck for the coming year. Easter means not only good luck and celebrations but a time that reunites families and friends. While adults busy themselves with cooking delicious Easter food and adding embellishments to the house, children make the most of this holiday. Getting up early in the Easter morning and find the painted eggs is the most fascinating part of Easter for them. 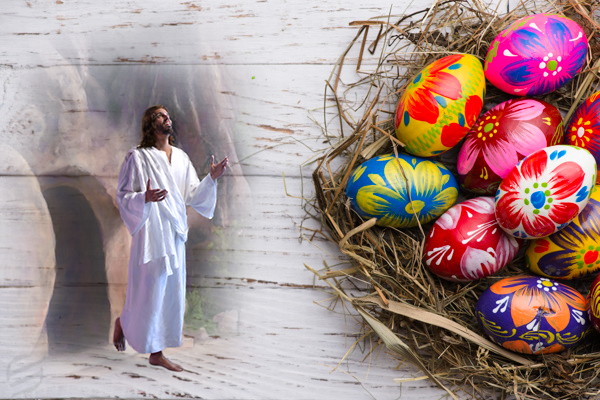 Easter is the festival which spreads positivity and a celebration spree even for the people who do not believe in religion or religious histories.